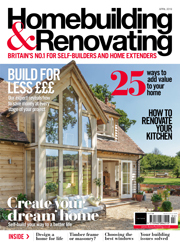 If you are planning some serious home improvements (or to build your own home), there are some great home design ideas that are well worth considering. 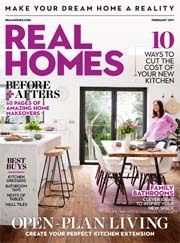 So whether you are looking to add architectural interest, some much-needed wow-factor or want to transform the way you live in and interact with your home, check out the hottest home design ideas for 2019 that can be incorporated into your plans, whether you are renovating, extending or building from scratch. 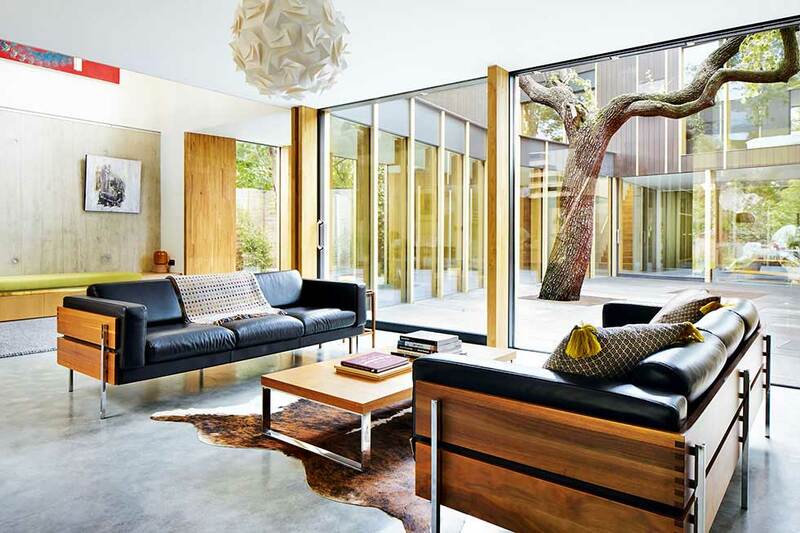 A courtyard layout can provide ample scope to connect multiple rooms to the garden and flood the space with light. 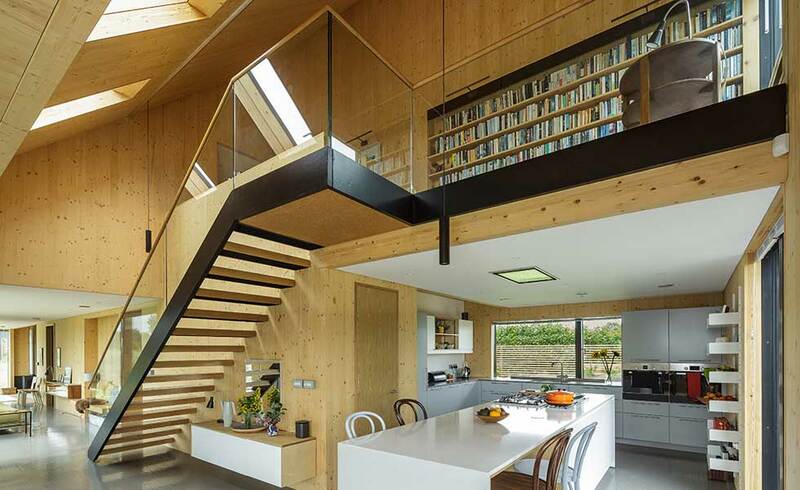 With single-storey homes in particular, this arrangement avoids the need for deep floorplans, which can often suffer from a lack of natural light. 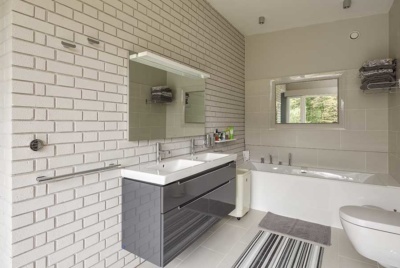 One of the home design trends making waves amongst self builders and renovators is revealing the fabric of the building. Exposing building materials is no longer about being ‘minimalist’ but about adding colour, warmth and texture. 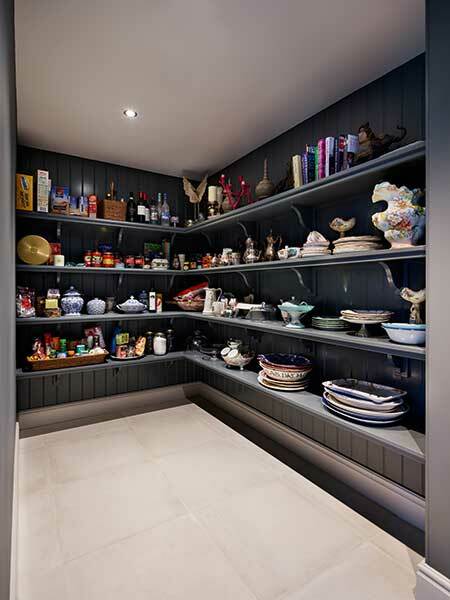 A design idea growing in popularity, the pantry has also grown in terms of room size too. Homeowners are opting for larger utility-sized spaces as opposed to a cupboard, freeing up the kitchen for living and entertaining. 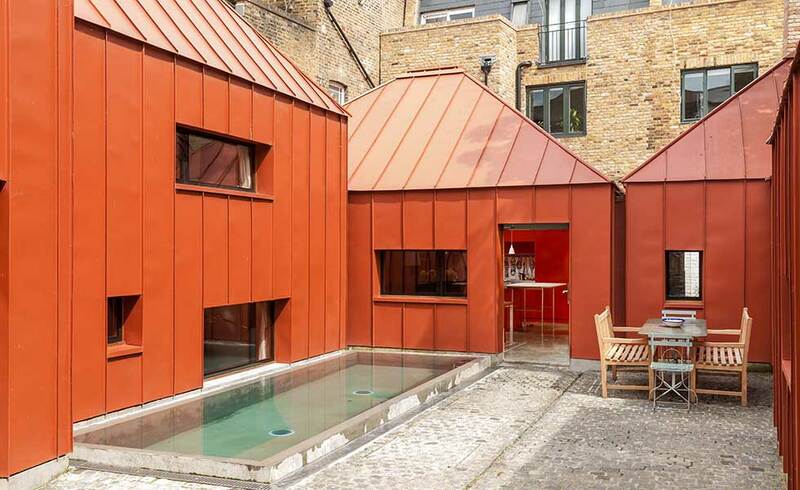 This pool is situated in a small rear courtyard of a London Passivhaus. The cover doubles as decking when the pool is not in use ensuring the courtyard is usable all year round. An outdoor swimming pool is part of a wider home design idea to make the house a space where we keep healthy and well, as well as a place to relax and entertain. The popularity of home gyms is another case in point. While ‘opening the house to the garden’ is not a new design idea for your home, there is now an increased focus on a considered use of materials in both the interior and adjacent outdoor environment. 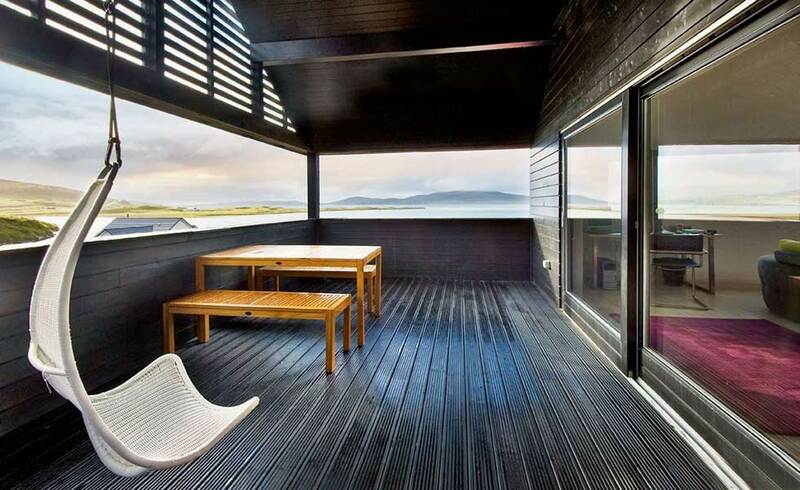 There is now a push to create a ‘room outdoors’ and reduce perceptible boundaries between indoor and outdoor spaces. 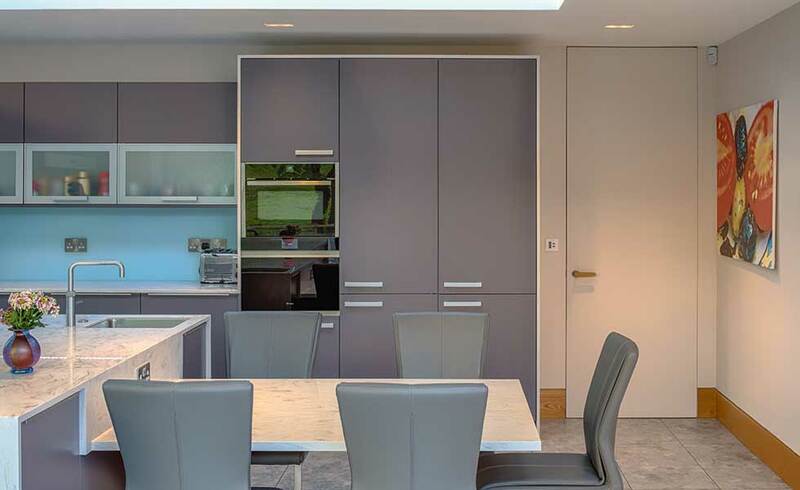 If you’re looking for sleek, minimalist design ideas for your interior, then concealed door frames could be a 2019 trend worth tapping into. 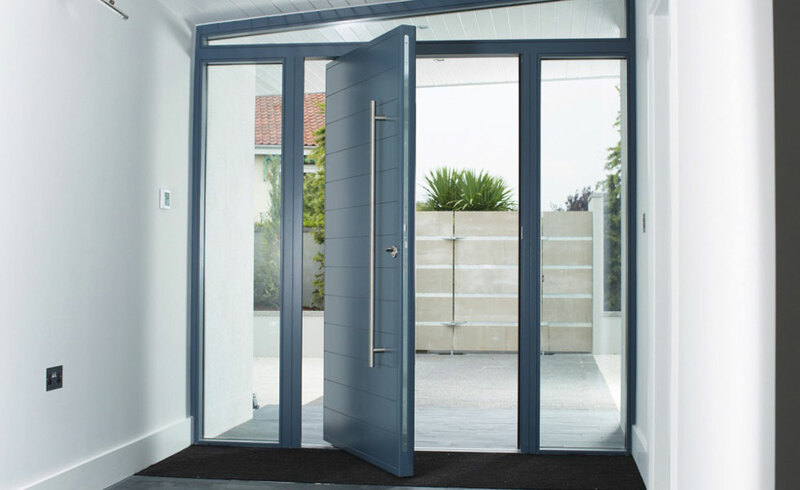 Self-builders are installing frameless doors to create a seamless finish that complements a modern interior. 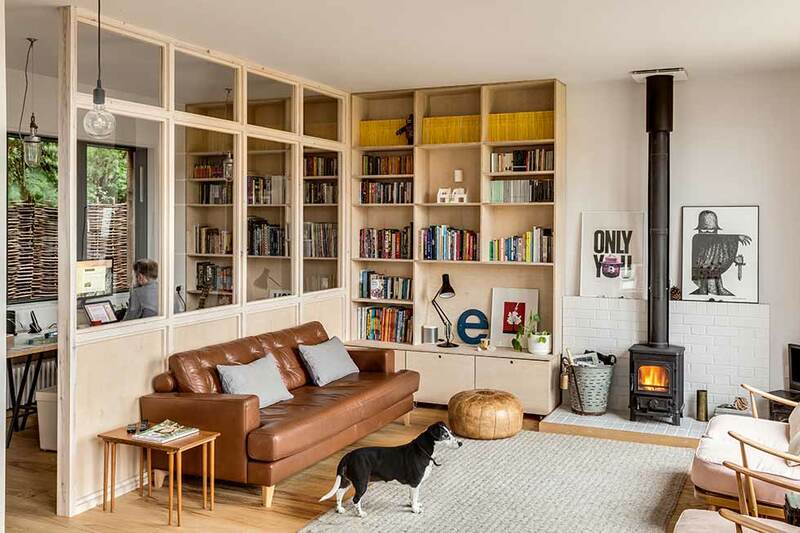 Broken plan is all about moving away from cavernous open plan living spaces and opting for semi-open plan spaces, or well-planned zoning to bring definition to different areas. 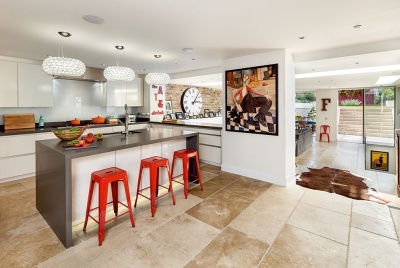 Whether it’s shuttered, polished or even replica, concrete has become the favourite raw material of choice for homeowners looking to introduce industrial style to their homes. 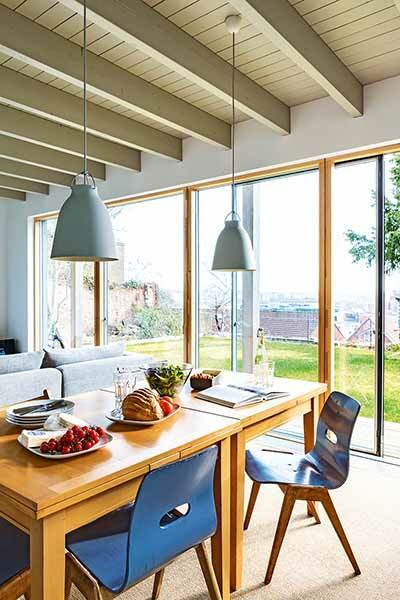 Move aside bifold and sliding doors, the latest glazed patio doors do not fold or slide back, but delicately pivot — providing a large expanse of glass coupled with minimal frames as a further benefit. Natural light and views will be maximised. 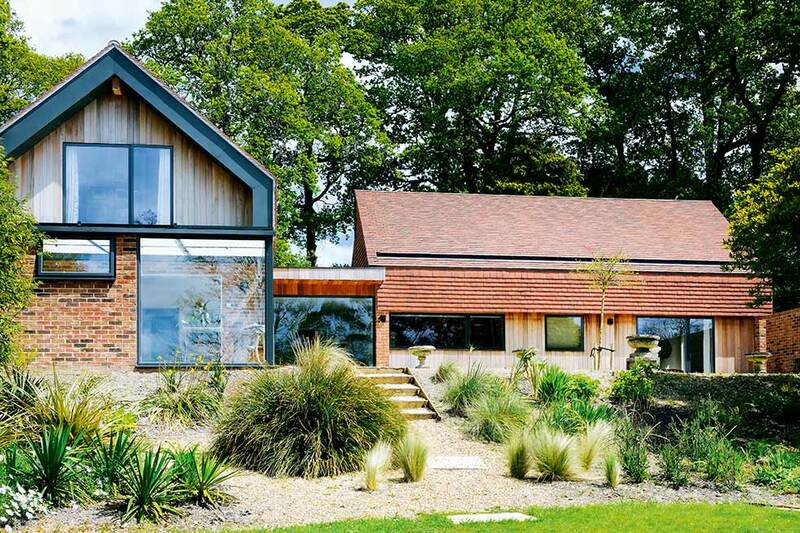 Drawing inspiration from the local area and reinterpreting traditional materials and details in interesting ways is one means of grounding modern new builds and extensions within the vernacular. The home design trend of using ordinary materials in extraordinary ways stems from the necessity for many to source affordable materials, yet still achieve that desired wow-factor. Hidden rainwater goods have become a popular design idea in recent years. However, making a feature of this element of the building, with chunky, aesthetically-pleasing gutters, hoppers and downpipes, is another (cheaper and perhaps less complex to achieve) solution. 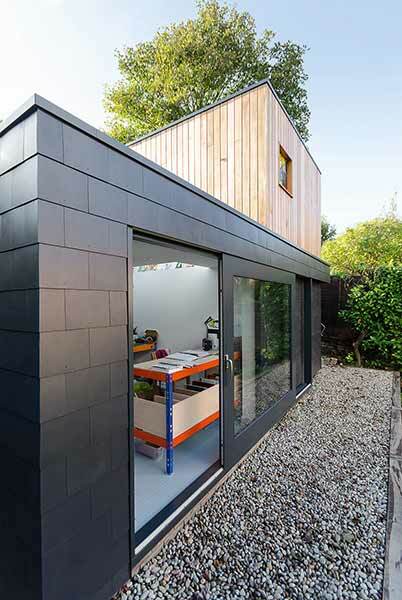 Material choice is important — forget PVCu, opt for streamline steel from the likes of Lindab and Alumasc. 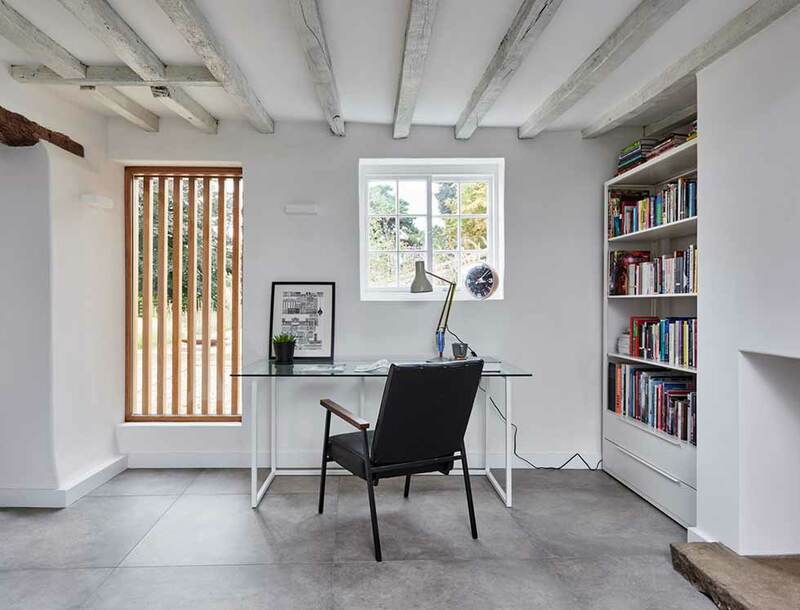 Exposed ceiling joists are more often than not associated with period homes, however they can make a characterful addition to a modern self build, too. Do bear in mind though that exposed timber joists will typically require a fire-retardant coating for Building Regulations purposes. While bringing natural light into the home is a recurring theme, it can be easy to forget how important achieving a well-balanced artificial lighting design scheme can be — many treating this element of the design as an after-thought, placing a few pendants and downlights wherever there’s space. 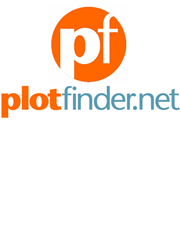 Consideration of your home’s lighting should be planned out well in advance. 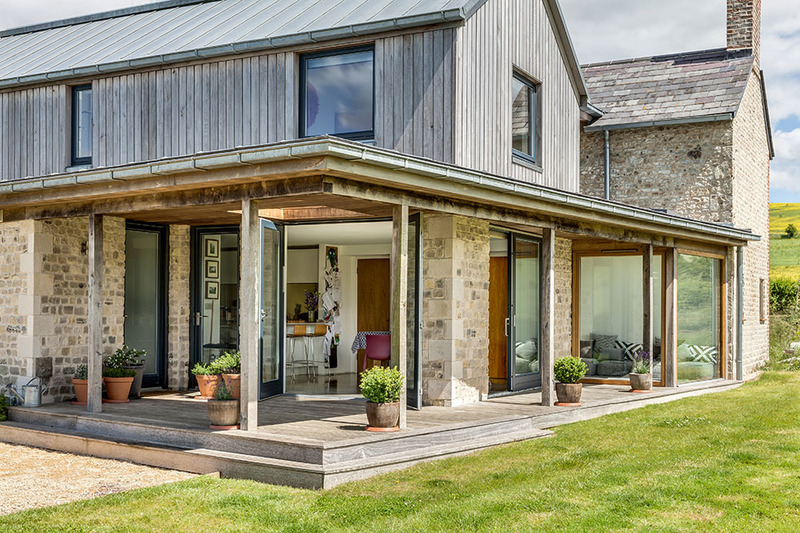 Placing patio doors or glazing in adjacent or opposing walls has obvious benefits when it comes to introducing light to the interiors and creating a greater sense of connection with the garden. However, this design motif can also help reduce massing, making a building appear transparent and less ‘bulky’. The bargeboard has fulfilled both a functional role, protecting gable ends, and a decorative one (a trend revived by the Victorians) on the British home. 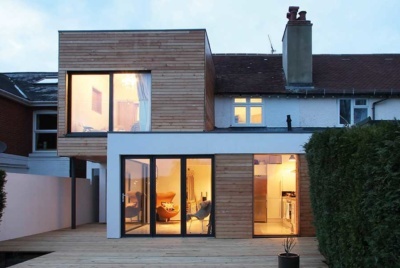 “Here, the deep bargeboard protects the structure to avoid unwanted heat loss whilst preventing thermal bridging (cold being transferred into the home and damaging the substructure),” says architect Wendy Perring, Design Director of PAD Studio. Covered outdoor spaces allow the British summer to be enjoyed whatever the weather, plus provide opportunity to make a design statement. However, we’re no longer simply looking to create such spaces on the ground floor, but on the first floor too, where covered balconies or loggias, leading off the master bedroom for instance, are a happy indulgence. Gypsum plaster and plasterboard are not the only choices when it comes to finishing walls and ceilings. Natural finishes are big news; they lend texture and interest to surfaces, plus materials such as clay plaster are non-toxic, offer a breathable surface, and act as an acoustic absorber. Plus, there’s no need to paint the surface once applied. We’re accustomed to seeing flat ceilings in our homes, but if you are extending or building from scratch then it’s a great opportunity to think outside the box when it comes to your ceiling design. 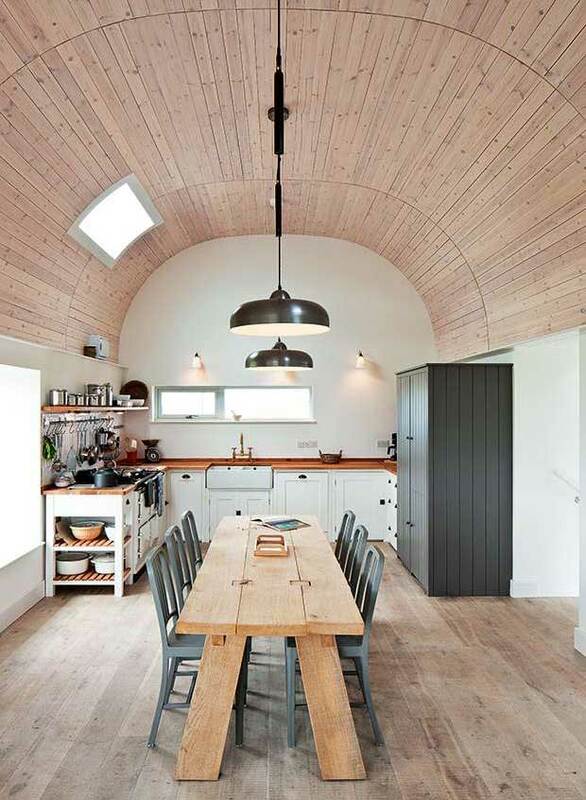 Vaulted ceilings are a great way to add both interest and volume to any space, can fit well in both contemporary and traditional home designs. Fixed timber slats are an excellent means of providing privacy to openings, while still allowing light to flow into the interiors. 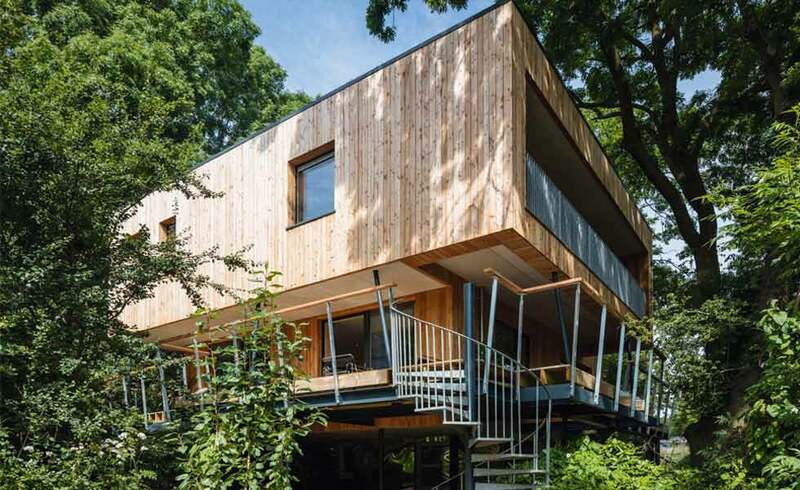 Versatile, rustic and lending warmth, timber has become the go-to material for those seeking to bring texture to their projects — both inside and out. 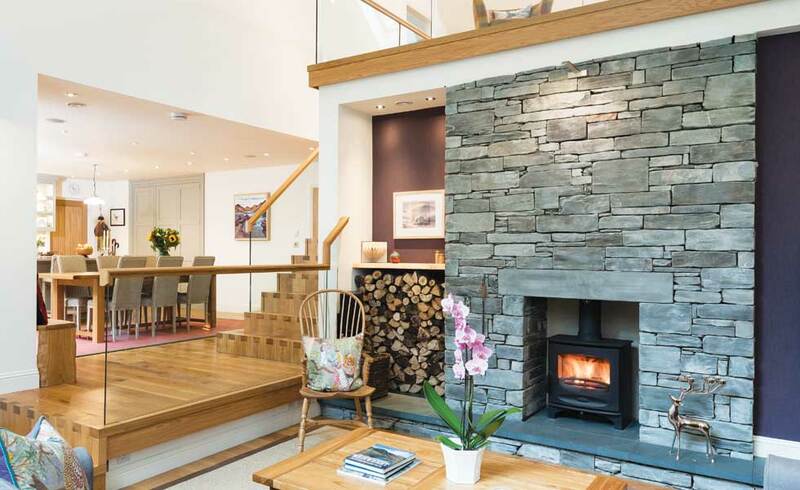 Whether it’s dark-stained pine to add contrast and help the home to blend in with its surroundings, rough sawn oak left to weather to a silver grey, birch, western red cedar, larch or plywood lining the walls, ceilings and floors to provide a warm and cosy space, timber cladding is a popular home design idea. Interior glazing is by no means an architectural innovation — this device has been used for years in commercial spaces and offices. 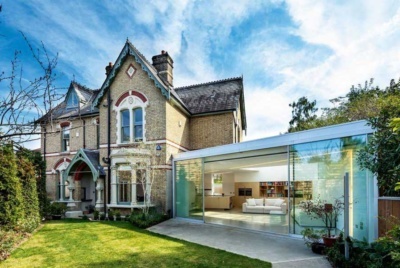 However, self builders are now beginning to see the benefit of interior glazing in new homes: it can allow natural light and views to be ‘shared’ by adjacent rooms, while still offering a degree of soundproofing. 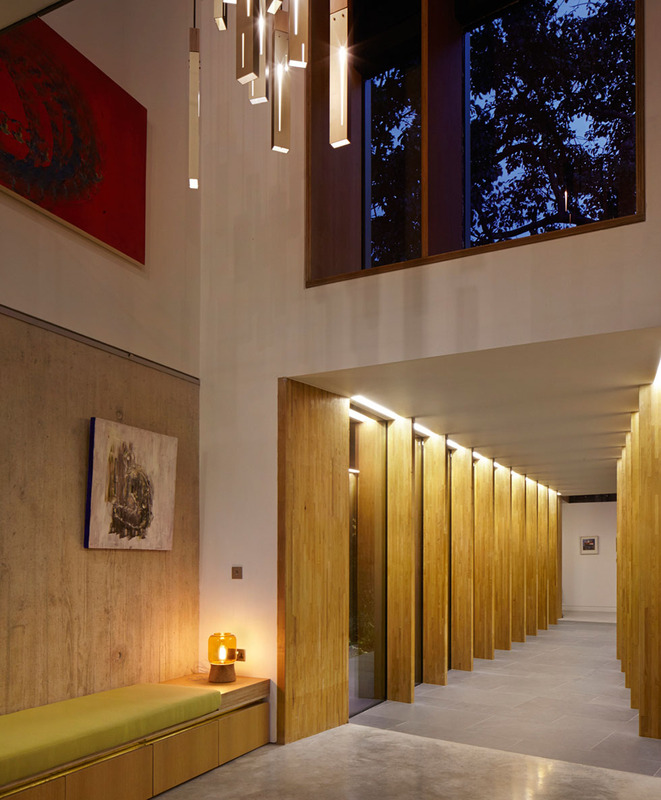 Allowing light to reach into even the most central sections of the floorplan, incorporating internal glazing can offer glimpses of adjacent rooms and create the illusion of space and volume. 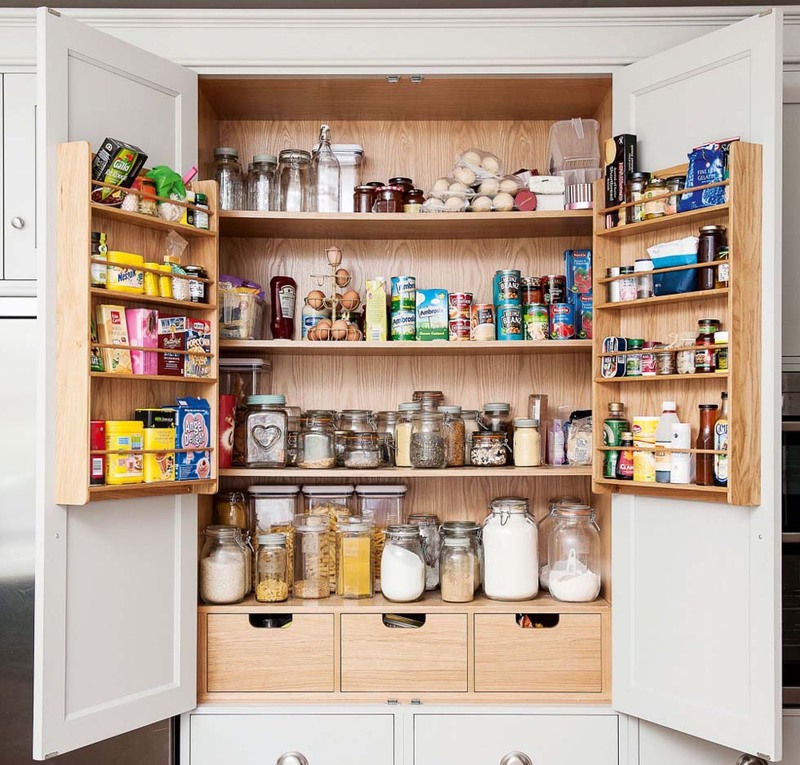 Wishing to shut clutter off from the rest of the house, it seems homeowners and architects are coming up with new solutions for introducing clever storage into their homes. 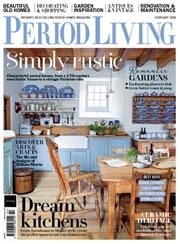 One of the most chaotic rooms in the house is often the kitchen, which sees all manner of activities taking place — from cooking to cleaning, eating and socialising. Given today’s trend for open plan kitchen diners however, it can be difficult to hide cooking mess when guests come round for dinner. 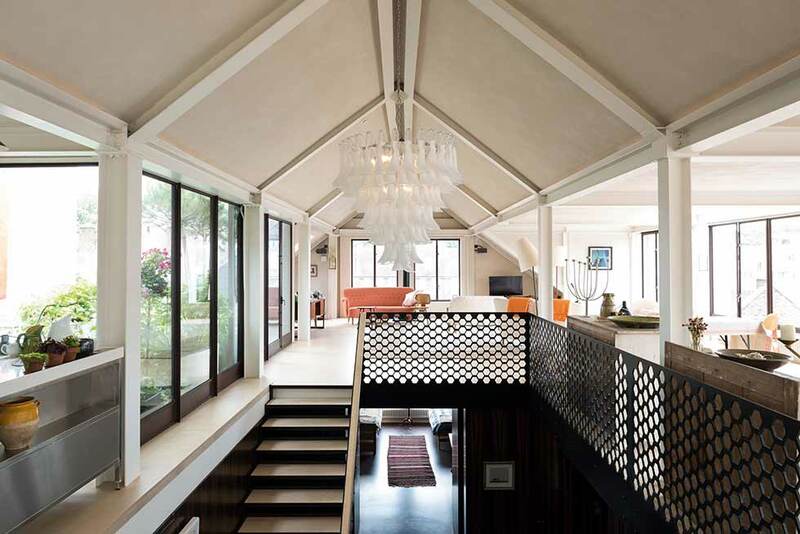 A key staple of traditional architecture, the veranda appears to be making a comeback. From New England-style wrap-arounds to sheltered timber frame additions – allowing homeowners to enjoy the outdoors even on wintery days – the veranda has proved the perfect accessory to homes both contemporary and classic.